Joan Arline, just starting out in show business. 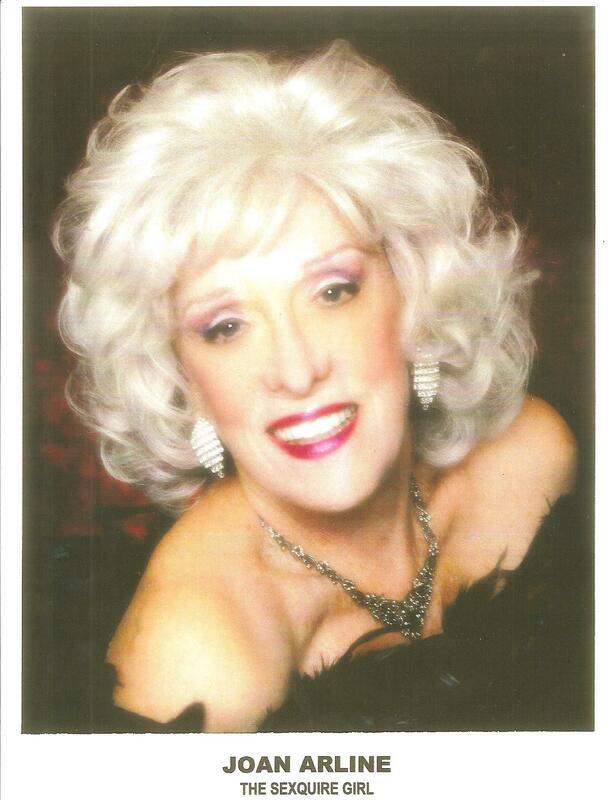 Sad news made its way around the burlesque community yesterday- Joan Arline, The Sexquire Girl, passed away on Sunday, October 16 from leukemia. Her last official performance was in June at the Burlesque Hall of Fame Reunion, and it has been reported that she was diagnosed with her illness that same month. Joan Arline was one of the brightest, most resilient showgirls burlesque and strip have ever known. She was loved and admired by many, and will be missed. Her brassy spirit and passionate love for being on stage will never be forgotten. Flattery will get you everywhere: Joan's autograph to me last January at our interview. A recent head shot of Joan. ~ by angrytruffle on 10/19/2011. A truly radiant star right up until the very last shimmering moment. A wonderful teacher and mentor as well… thank you for this interview. Beautiful article. We miss her so much. Thank you for capturing her energy and spirit in this piece. On behalf of family and friends of Joan Arline, she will be sadly missed. I am posting this on behalf of her son, Daryl J. Roth. ” I don’t care about chemo, radiation or morphine, but when I can’t where my heels anymore, then I’ll be pissed!” . I would ask, “Wow, mom, you look great today. Why are you so dressed up?” Joan: “I have a transfusion today Daryl “, as if to say, duh! So, the point here is this: as soon as I can, I will be posting my thank you’s to all those who have shown my mother so much love and devotion. And one more thing I’d like to say at this point…my mom and I talked at length about this idea we had and it’s this: I have acquired the trademark to my mom’s essence, “The Sexquire Girl” and I plan on keeping her legacy and teachings alive and well. She had SO much to tell and to teach her fans and her students of burlesque. So look for more info in the coming months but know that in the meantime, it means the world to us that you are here. Thank you. Daryl, I am so saddened by the loss of your Mom, she was one great lady who always looked like a million $. Your posting to friends & family was beautiful. My year in the “Fabulous Palm Springs Follies” was more enjoyable because of Joan’s presence. She was a total ‘pro’ and a joy both in the dressing room and on stage. Joan was a generous spirit…who plowed through some tough times with nary a complaint. A gem of a Lady! ….not to mention those gorgeous lags!!!!! I will always keep fond memories of her always. Thank you all for your kind wonderful words of love for my mother!. She always loved to perform! One thing I would like to correct in the article is that my mother did not stop to have babies and then go right back into burlesque. She stopped to have babies and bring us up!.. My mother retired from burlesque when she got pregnant. . Being a mother was very important to my mother. Years later she got back into the world of dance and burlesque! My mother was a dance teacher for many years when my sister and I were growing and with teaching dance influenced many young people!.